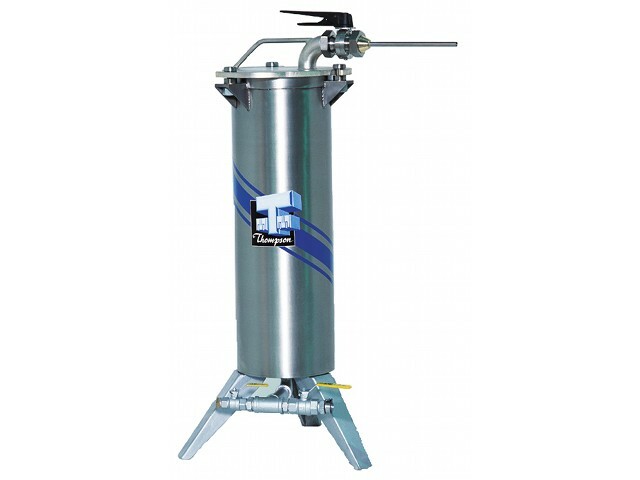 The 70lb Water Filler barrel, lid, valve, nozzles and connections are manufactured from Stainless Steel. The legs are made of cast aluminum and the plunger is tinned. The 70lb Water Filler operates by connecting the machine to a water supply. It works most efficiently at 80 PSI of water pressure. The machine is very simple to operate and displaces approximately 15 L of water with every 70lb batch of sausage emulsions extruded.